with inserts in ancient Erice’s stone that embellishes the walls. We have an outdoor area with a fantastic swimming pool, where you can have breakfast and enjoy some great moments of relaxation, with fun games for the little ones. 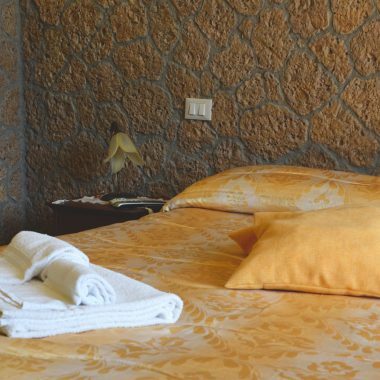 From our rooms you can admire a fantastic and complete view of Erice. Immersed in green and flowered countryside. Do not you know how to move? We’ll help you find the best transfer service for your needs, for travel from the airport and for your trips. "The owners were really nice and helpful, great breakfast with cannoli." 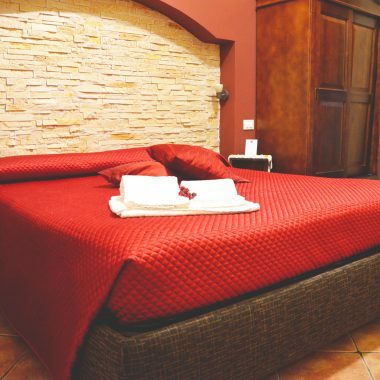 "Quiet location, great swimming pool, excellent and abundant breakfast, clean and well appointed rooms, very nice owner! In short everything is perfect." 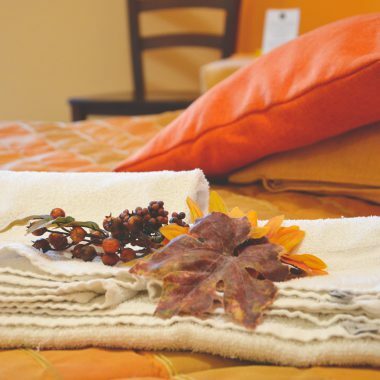 "Great B & B, very welcoming, friendly and helpful staff. Abundant breakfast, you live a home atmosphere ..."
The Quadrifoglio offers an opening with a swimming pool surrounded by a citrus-lush garden garden and a colorful lawn, colorful from small florists. In the living area there is a fireplace that creates a warm atmosphere in the winter evenings. La nostra struttura è raggiungibile dall’ aeroporto di Palermo Falcone-Borsellino in 45 minuti seguendo il percorso autostradale. Dai un’occhiata ai nostri servizi e non esitare a contattarci per qualsiasi informazione.